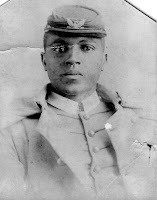 One of most courageous African Americans in the history of the U.S. military was Colonel Charles Young. 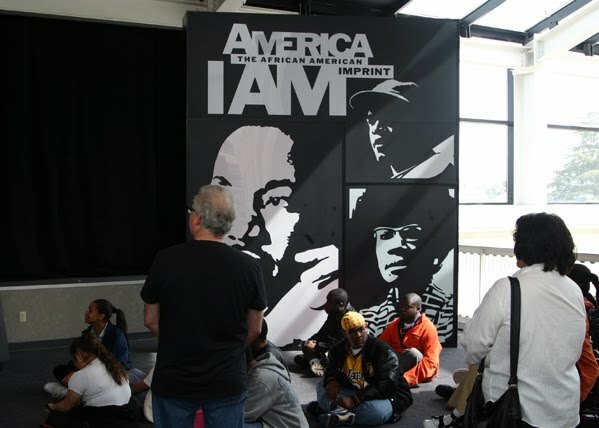 I'm pleased to see that a saber owned by Col. Young was included in the America I AM exhibit at the Cincinnati Museum Center a few years ago. Young was born March 12, 1864 to ex-slaves in Mayslick, Kentucky. His family moved to Ripley, Ohio, where he attended high school. After he graduated he taught in the Black high school in Ripley. Young was a professor at Wilberforce University. 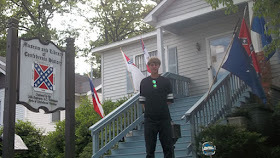 His house near Wilberforce is a National Historic Landmark. He was the third African American to graduate from West Point in 1889. He graduated in spite of the hatred, bigotry and discrimination he encountered as an undergraduate. His first assignment after graduation was with the Buffalo Soldiers in the 10th Cavalry in Nebraska, and then in the 9th and 10th Cavalries in Utah. 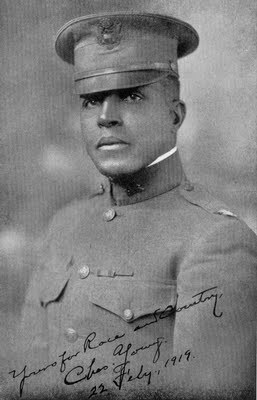 After the war with Spain, Young was reassigned to Fort Duchesne in Utah where he encouraged Sergeant Major Benjamin O. Davis ... who later became the first African American to reach the rank of Army General. In 1903 Captain Young was in command of the 10th Cavalry, who were segregated at the Presidio of San Francisco. He was assigned as the acting superintendent of Sequoia National Parks. During his supervisory tenure his troops built a road longer than all previous roads combined. Soon wagons and automobiles were winding their way to the mountain-top forest for the first time. Young was sent to the Philippines to join his 9th regiment and command a squadron of two troops in 1908. Four years later he was once again selected for Military Attaché duty, this time to Liberia. For his service as adviser to the Liberian Government and his supervision of the building of the country's infrastructure, he was awarded the NAACP Springarn Medal. Young was devoted to his wife Ada and their two children; son, Charles Jr. and daughter Marie. He was a renaissance man who played several instruments (piano, violin and guitar) and spoke several languages. 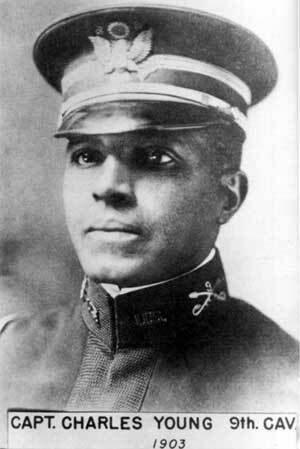 Colonel Charles Young was the highest ranking African American officer in the army when World War I started. With the explosive arrival of WW1, the public, and especially African Americans considered the possibility of Young receiving a major leadership role in the war. He had met challenges of racism, bigotry, and discrimination embedded within society and within the military. He had shown himself to be exceptional, not only as an military officer, but also as a leader of men. But justice and the rule of equality in the military were not for Lt. Colonel Charles Young. When he took his scheduled army physical, the doctors said his blood pressure was too high. 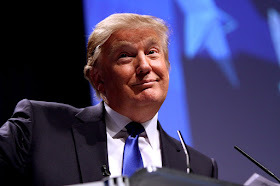 Young and his comrades, his supporters, and the African American news media believed otherwise. On June 22, 1917, Young was retired, under protest. The forced retirement didn't sit well with Lt. Col. Young. In June 1918 he made his way on horseback ... over 500 miles ... from Wilberforce OH to Washington DC to demonstrate that he was fit for duty. Once in DC, he asked the military for immediate reinstatement and command of a combat unit in Europe. Young was reinstated and promoted to full Colonel. Col. Young, was assigned to Liberia as Military Attaché. He died at that post on January 8, 1922, while on a research expedition in Lagos, Nigeria. i was invited to monrovia liberia a long time ago...i hope ester is ok...i use to live in her house by suger beach...we went for long walks on the beach...i gave ester my military school medals...i cought maleria while i was there..a doctor of hers treated me....i lay in her bed..she by my side..and in a few weeks i was well....dear ester i hope all is welll...lots has happened in liberia...i hope and pray all is well...all is well for you...your friend out there still on the safari of life....the safari prince. Vonnie & The Safari - Are there other Black soldiers in history that you would like us to learn about? Any specific names come to mind for those of us interested in learning more about Black achievement in the military?